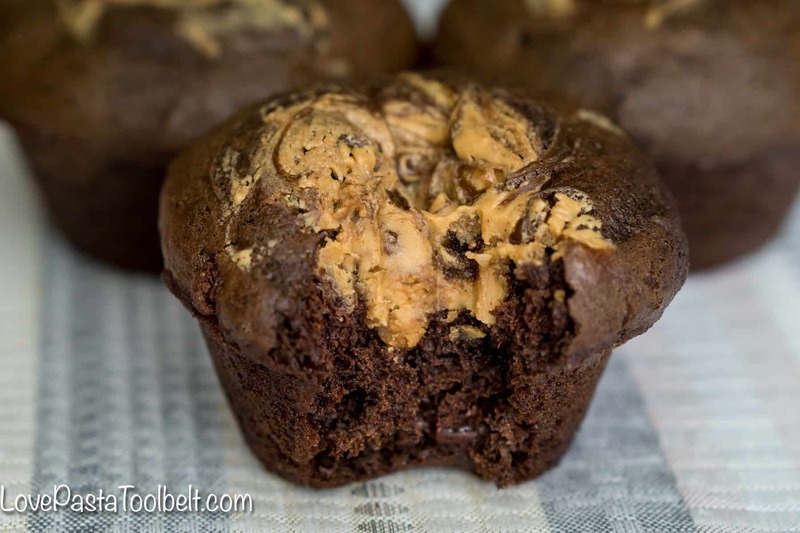 Whip up a new family favorite with these Chocolate Peanut Butter Muffins. 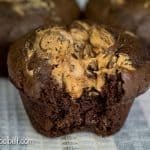 A delicious chocolate muffin filled in the center with creamy peanut butter. Afternoon snacks have become kind of essential for me since having a baby. I like having a little pick me up in the afternoon when I’ve spent the morning chasing after K. She’s crawling now and she is speedy. She doesn’t like to sit still and is into everything. It’s a lot of fun but also a bit exhausting. 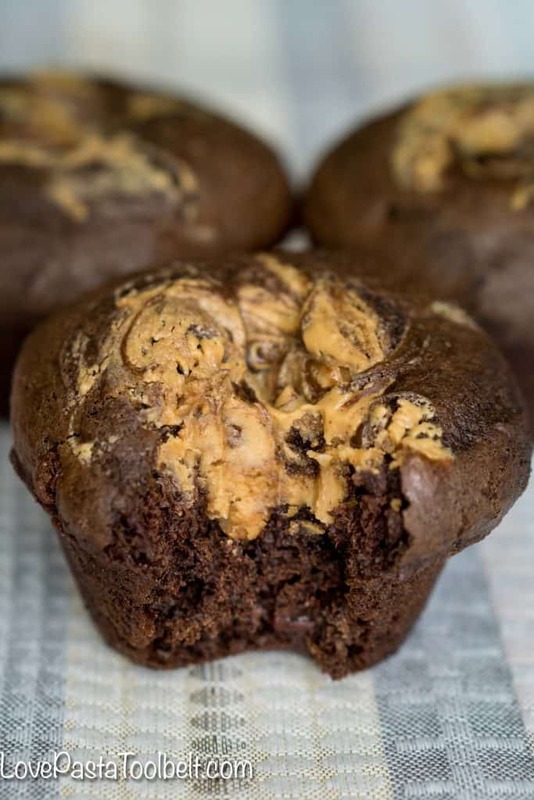 I knew I wanted something chocolate but also wanted to add a little excitement to just a traditional chocolate muffin, enter peanut butter. The peanut butter in these muffins once they’re cooked is so warm and creamy. Be careful because it will just ooze out with delicious goodness when you bite into the muffin. 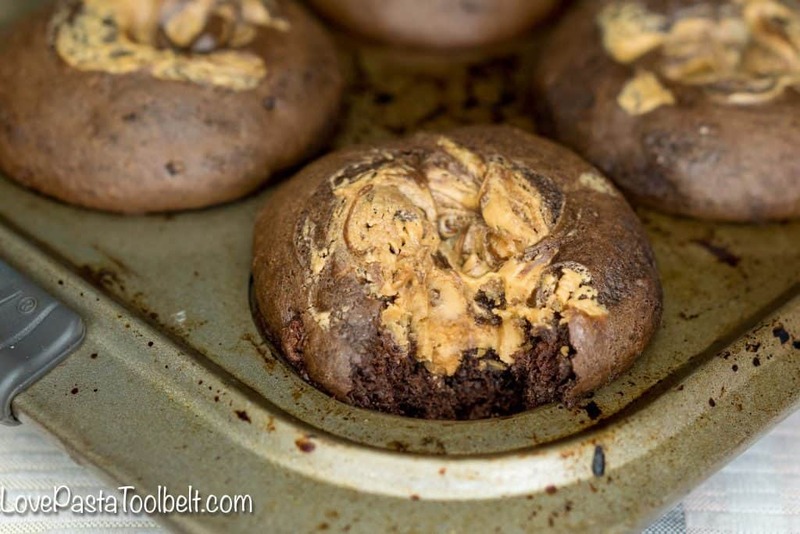 So while these muffins are a bit messy they are 10x more delicious than messy. 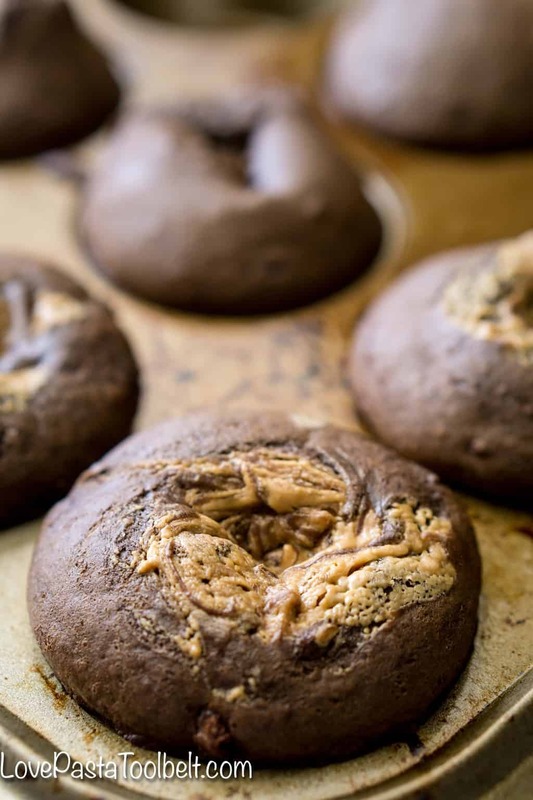 You can also add chocolate chips for an extra burst of chocolate goodness. I love to warm mine up in the microwave before I eat them if they aren’t fresh out of the oven. If you aren’t a peanut butter fan or someone in your family isn’t then you can leave the peanut butter out or do half and half for the best of both worlds! Let cool before removing from muffin tin then serve and enjoy! Do you have a favorite snack to have on hand for an afternoon pick me up?